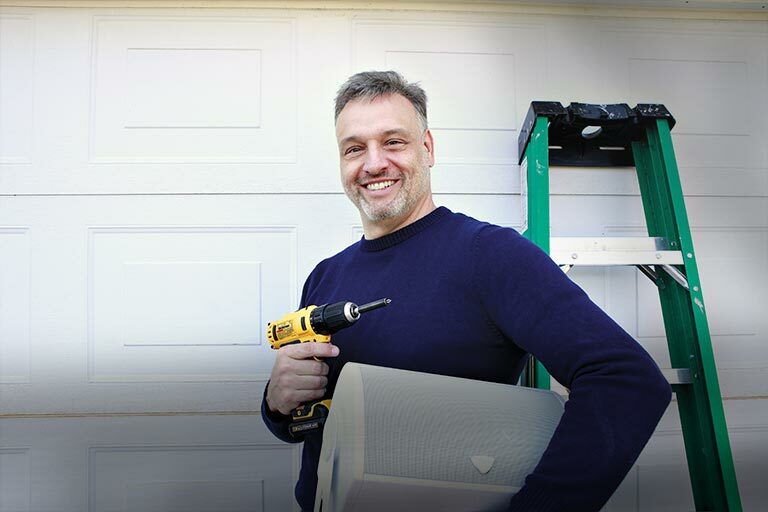 You've got a great set of wheels, but something's missing: the sound of the Chevy factory radio leaves a lot to be desired. Low power, less-then-ideal speaker placement, and dialed-back bass all contribute to the unhappy situation. 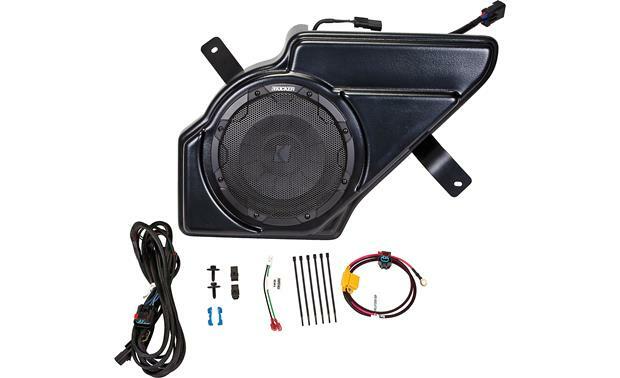 This VSS Powerstage system upgrade by Kicker will transform your Cruze's stock radio and speakers into a high-fidelity sound system capable of giving you full, accurate, and richly-textured musical pleasure. And it does it without changing the look of your Cruze's interior or dash. The heart of the system is the Powerstage processor/amp module that plugs in between your car's stock receiver and speakers with the help of a Cruze-specific wiring harness. Kicker's technicians measured the acoustics of the Cruze's interior, then developed a program to get the strongest and cleanest audio performance possible from the stock speakers. The Powerstage module breathes new life into your vehicle's factory system, automatically correcting for the limitations of the factory speakers, then adding plenty of power so the speakers can sound their best. Substage™ for the Cruze mounts in the trunk. Important Note: This upgrade package will only work with the 2011-up Chevy Cruze with the basic 6-speaker system. It will not work in a Cruze with the premium (Pioneer) sound system. Overview: Kicker's SoundGate PowerStage factory audio upgrade kits are designed to fit in specific year/make/model vehicles. The PCRU11 is compatible with select 2011 and later Chevrolet Cruze models having the base factory sound system (please confirm fit with the Crutchfield vehicle selector, not compatible with factory navigation or Pioneer Audio system). 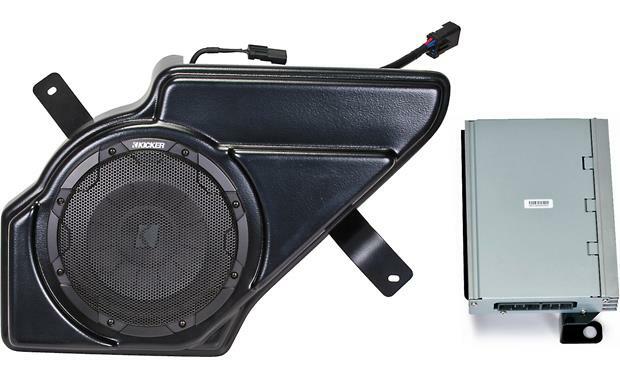 Included with the system are a 10" subwoofer in a custom enclosure, subwoofer amp, multi-channel amp with custom mounting brackets, all the necessary cables to power the amplifiers, and adapter plugs to connect to the factory radio and speakers without cutting into any of the factory wiring. Multi-Channel Amplifier: The multi-channel amplifier is rated at 50 watts RMS x 4 channels and powers the front and rear factory speakers. The amp also has a built-in computer-optimized, 32-bit DSP (Digital Signal Processor) programmed specifically for the car's interior and factory audio system. Custom brackets are bolted to the amp to mount it out of sight. The included wiring harness has adapter plugs that connect between the factory radio and factory harness, so cutting/splicing/testing the existing wires is not necessary. 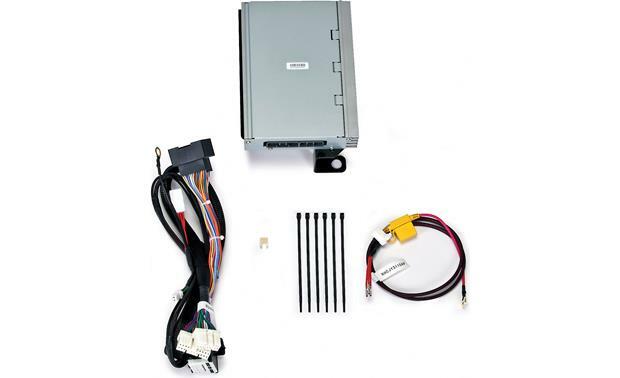 The included power harness is connected to the fuse box in the engine compartment, and specific wire routing instructions are included. Subwoofer: The custom enclosure is loaded with a single 10" Kicker subwoofer, powered by a 200-watt amplifier mounted to the enclosure. 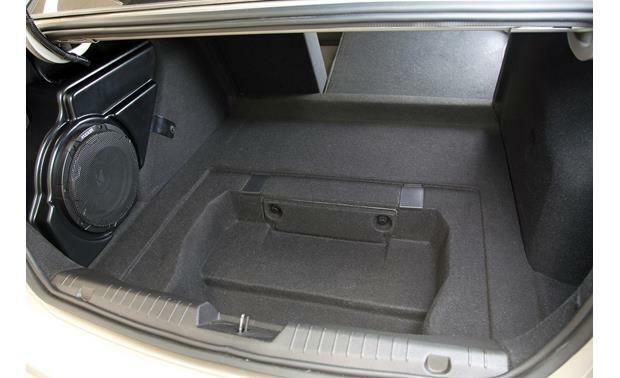 The subwoofer is mounted in the trunk on the driver's side and the included wiring harness has an adapter plug that connects to the multi-channel amp's harness (for subwoofer signal input). The power cable is connected to the fuse box in the engine compartment and specific wire routing instructions are included. Electrical System: Both amplifiers are designed to have minimum impact on the car's charging system. 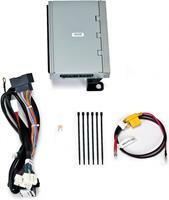 Does this unit work with the Piennoer Original fit touch screen radio for the 2012 Chevy Cruze LTZ? Does this unit work with the Koolertron OEM Upgrade Multimedia Navigation System? 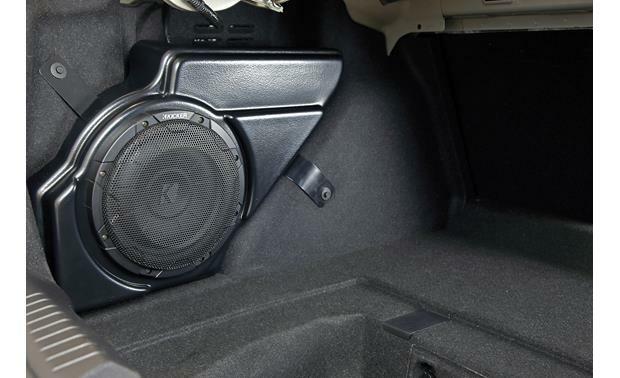 Searches related to the Kicker VSS™ Powerstage™ System Upgrade the factory sound system in select 2011-up Chevy Cruze models (without Pioneer Audio).